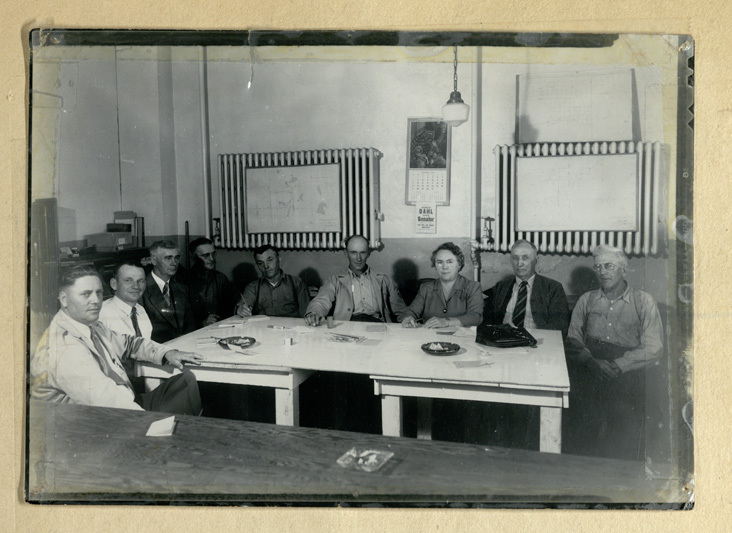 In 1922, the Extension Service at Montana State College in Bozeman hired Harriette Cushman to be Montana’s poultry specialist. Over the next thirty-two years, Cushman worked to build a profitable poultry industry that proved an economic godsend during Montana’s prolonged economic depression. 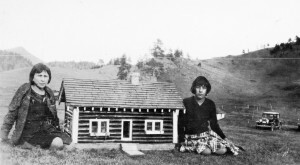 A woman of many interests, Cushman also championed the Indian Center at Montana State University and advocated for libraries, museums, and the arts. She was also a lifelong supporter of 4-H, an environmental advocate, and a prolific writer. 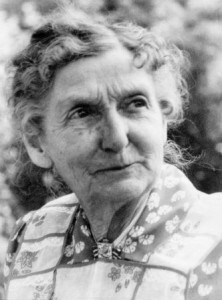 Harriette Eliza Cushman was born in Alabama in 1890. 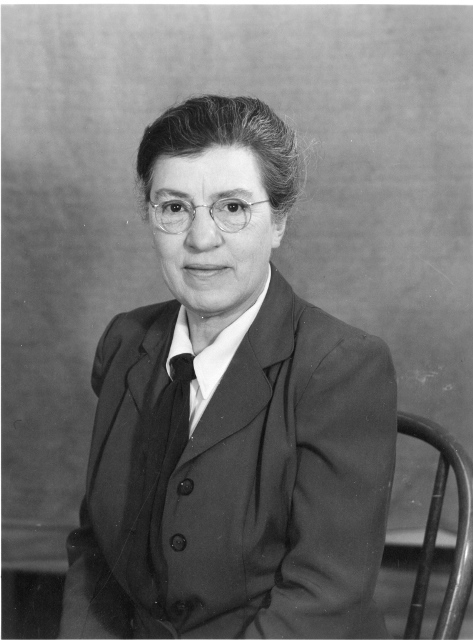 She graduated from Cornell University in 1914 with a degree in bacteriology and chemistry. In 1918 she earned a poultry specialist degree from Rutgers University and became one of the few women pursuing a career as a poultry scientist. As Montana’s poultry specialist, Cushman traveled the state, educating farmers on breeding, culling, egg and bird grading, poultry housing, proper feed, and poultry health. She authored numerous seminal poultry-raising manuals that emphasized the application of scientific methods and utilized local demonstration flocks for hands-on instruction. 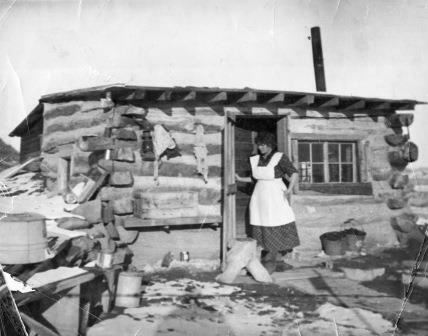 Pearl Unglesbee Danniel homesteaded in the badlands of eastern Montana with her husband Clarence Unglesbee. Her caption for this photograph read, “Our little home where the Crickets used to make me feel that it was always summer. They sang in the walls all winter.” This photo was taken circa 1930. After Clarence died in 1927, Pearl transferred the property to her daughters and took out another homestead nearby. MHS Photo Archives PAc 95-7 1. Upon statehood in 1889, 5,600 farms spread across Montana. By 1910, that number had jumped to 26,000. 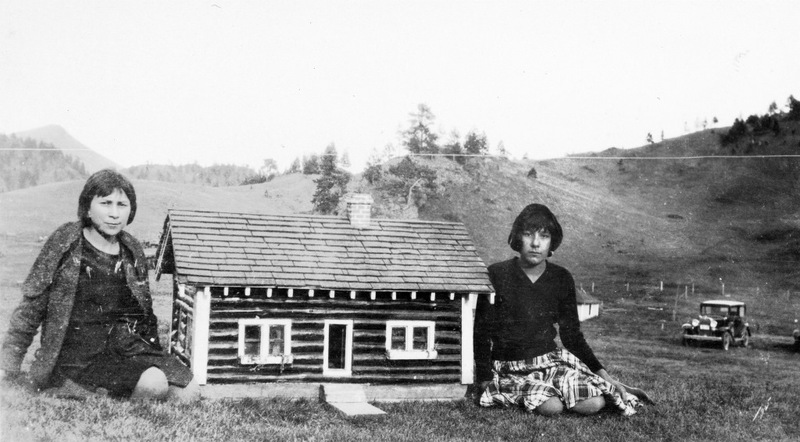 The Enlarged Homestead Act was one reason thousands flooded into Montana, including many married couples. 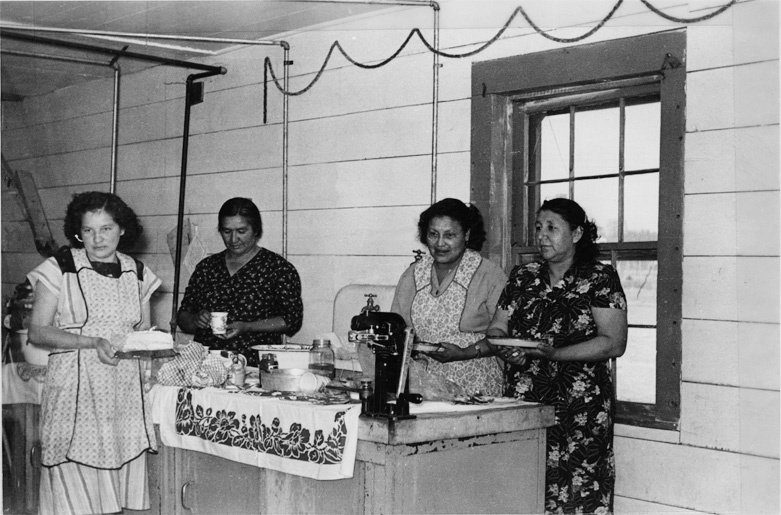 Although federal census records consistently note that women whose husbands were involved in agriculture had no occupations, women were often the linchpins of the family economy and played key roles in building their communities. Helena Hagadone, Janet Smith, Lilly B. 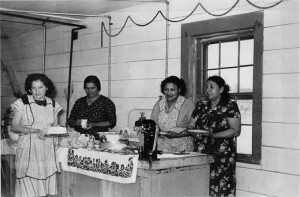 “Ma” Smith, Ruth Garfield, and others represent different experiences, but share a unique sisterhood. What women brought to the marriage influenced the success, and sometimes failure, of the partnership. They were neither as frail nor as frightened as they have sometimes been portrayed. Frank and Helena Hagadone married in 1913. 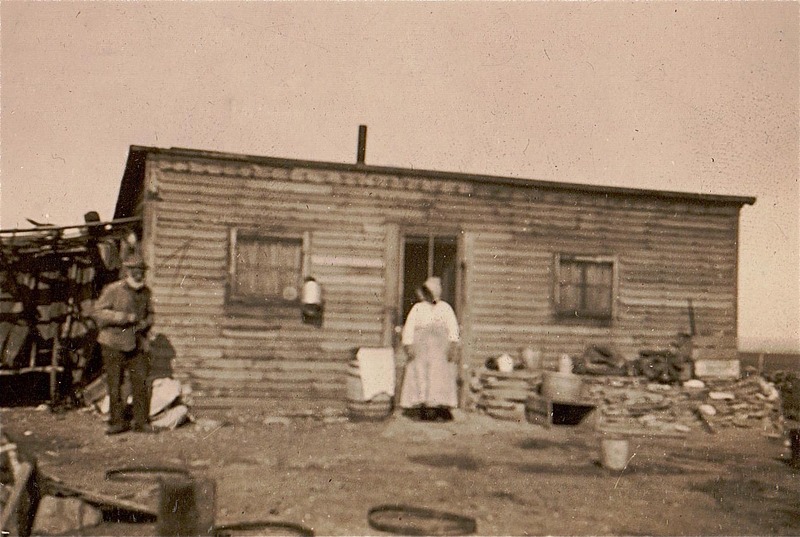 In 1917, the Hagadones homesteaded with their three children in a hostile place in the Missouri Breaks called the Devil’s Pocket. The Missouri River bottomlands were unbearably hot in summer and cruelly cold in winter. The family grew vegetables and caught fish, but they had no well. They carried river water to the house, let the silt settle, and boiled it for cooking and drinking. Rattlesnakes were everywhere, and one of the children survived a near-fatal bite. After four years, the Hagadones separated. Mrs. Hagadone sent the young girls to board in town and paid for their schooling by working the homestead alone. The girls were glad to leave because their mother had become a mean woman. Partnerships were sometimes uneven. “I was just like a hired man,” recalled Katie Adams of Hill County. “I was right there. I helped harness the horses and unharness them and hitch them up. And I followed the plow more than once and the harrow and the rake, raked the fields.” Women worked alongside men in haying, threshing, and branding. But they also did the cooking, the washing, and raised the children. When Nannie Alderson and her husband, Walt, immigrated to Montana in 1883, they were among the first wave of settlers in eastern Montana’s nascent cattle kingdom. A Bride Goes West, Alderson’s memoir of her years as a rancher’s wife, is consistently listed as one of the best books about Montana. 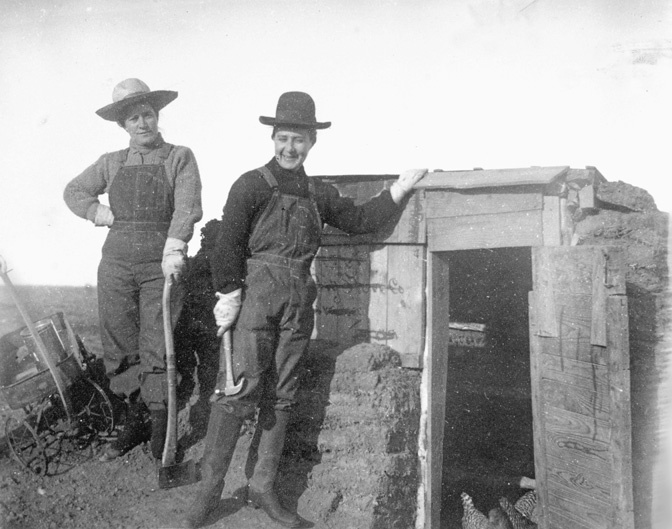 In it, she famously paraphrased Theodore Roosevelt, stating that Montana was “a great country for men and horses, but hell on women and cattle.” The story of her transition from a life of Southern privilege to the hardships of ranching on the Northern Plains has come to symbolize the experience of the pioneer woman in Montana.